Made-to-last surfaces ranging from precious matt to shiny like a diamond. GROHE faucets are guaranteed to look as beautiful decades on as they did the day you first fell in love with them. 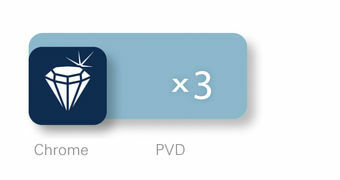 The special recipe to success lies in our long-lasting surface quality: GROHE StarLight® Technology. 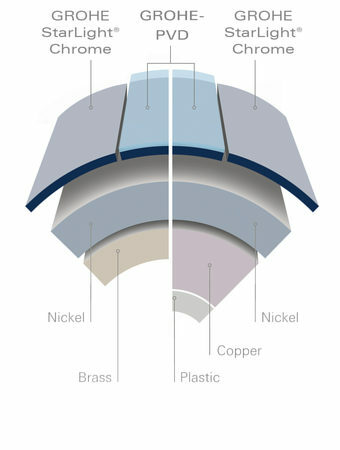 Continuous improvement over the last 75 years has seen our unique plating process refined to produce a robust and immaculate surface that is recognised as one of the best finishes in the world. 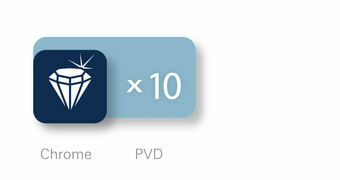 This is thanks to rigorous quality controls and ongoing investment, giving you a lifetime of enjoyment. 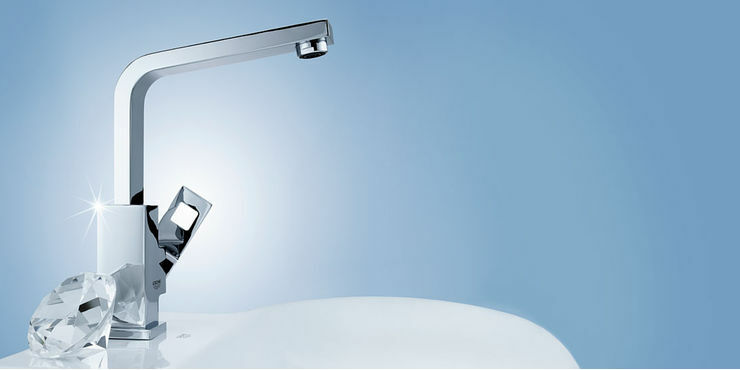 As well as the classic chrome finish, GROHE uses state-of-the-art machinery to deliver exceptional quality finishes. The physical vapour deposition (PVD) process ensures that the surface composition is three-times harder, delivering glistening gold or sophisticated stainless-steel finishes. 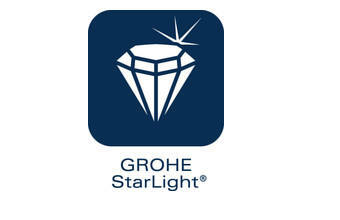 As well as being harder, the surface is also ten times more scratch resistant, so it can be cherished for a lifetime..
Across the spectrum of GROHE finishes, from matt to shiny and in all colour choices, GROHE StarLight® offers a made-to-last finish. The flawless, long-lasting surface is designed to be extremely resistant to dirt and scratches, making maintenance effortless and ensuring good-as-new looks for many years.